DragonCon has come and gone, as has the con crud. I have to say, 2016 was by far one of the best years ever!!! I had awesome roommates, the costumes were to die for, and shenanigans were had. We arrived on Wednesday and picked up keys to our hotel room. This year we stayed in the Hilton Atlanta, which I haven’t stayed at since 2011. I gotta say, they were ON POINT! Not only could I eCheckin a day early (Tues), but I got to PICK my room and still grab a voucher to book for 2017. Wow. Just wow. That’s insane. The staff was also absolutely wonderful, even with all of the renovations, and always promptly responded to whatever we needed. I look forward to staying there again next year and seeing what the new rooms look like. We totally have the better club. Take that, Ron. Thursday night was an absolute blast. My friend Alison and I chose to wear our Pawnee Goddesses, which turned out to be a great choice because there was a Pawnee Goddess/Ranger meetup that night! 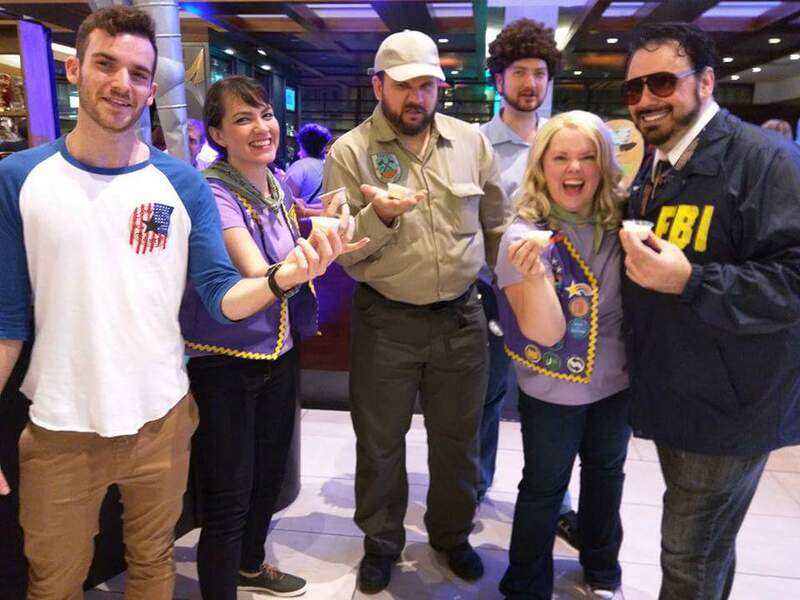 Jason also decided to show up with his Burt Macklin, FBI – which was awesome, and Spaz showed up in his Pawnee Ranger Ron Swanson (BEST EVER)! Friday was pretty low key during the day – Chad, Aaron, and I all put on our Bat Fam outfits for the Gotham City shoot. I must say, everyone looked great. The turnout this year was freaking HUGE! 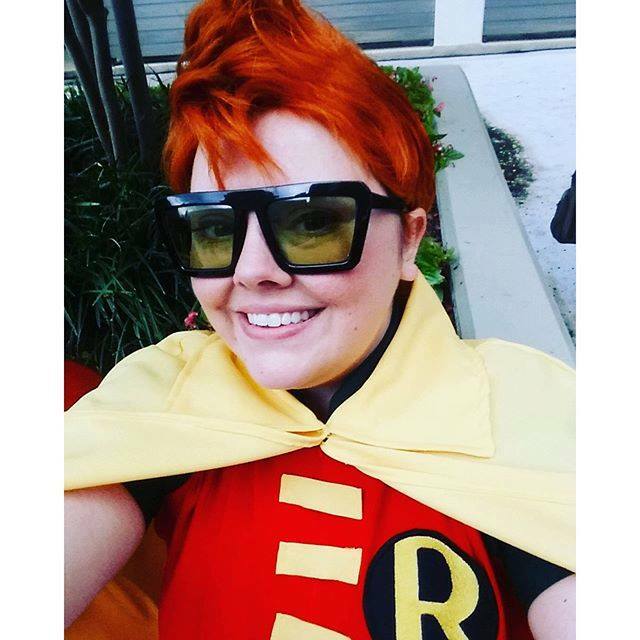 And there was even another Carrie Kelley – so we got to be bookends in the Robin subgroup. I wish I had gotten her name, because she did a wonderful job! We partook in the main group of course, and then they broke us all up into sub groups: Heroes, villains, Harleys, Ivys, Magic Users, Robins, etc. Chad looked awesome as Bats of course, and Aaron looked great as Red Hood! It’s one of my favorite shoots to do at DragonCon, and I’m glad we got to participate again. Here are a few pics. 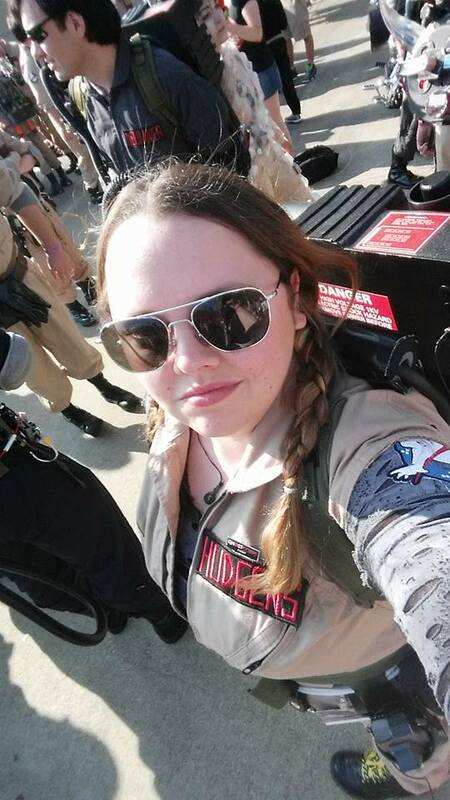 Saturday I was surprised at how many of us made it to the parade. I’m not saying that it was a late night, but yeah…it was. Shoutout to Deuce who not only stayed out all night, but also showed up early for parade. The hell, man!? I marched with PKE Surge this year, and it was an absolute blast! I love marching with Stargate, but dang… this was a lot of fun. If the hubster gets to go in 2017, I may march with them again. We’ll see. Here’s DCTV’s video of the entire parade. Sorry if it’s huge, but enjoy! Saturday night was also the night at the Georgia Aquarium! I went as Liv Moore from iZombie, because I was fully expecting to make it to the Heroes and Villains ball and/or the Hootenanny. It didn’t happen, but my costume was really well received. Sunday was pretty laid back, and I decided to wear my Kaylee shindig dress – since I didn’t get to earlier haha (I’ll put pics of the new bodice in the page). I hung out in the vendor hall for a while with my friend Humphrey, and then changed into Rory Stag for the night. It was our last night, so we had a kill the bottle party and played DrunkQuest (Thanks Christina for bringing it!) until it was time to sleep. Previous Surviving at DragonCon – Updated for 2016!